The following letter has come from Cristina who was present when Shri Mataji , who is presently staying in Noida, near Delhi in India, came into the kitchen to cook. 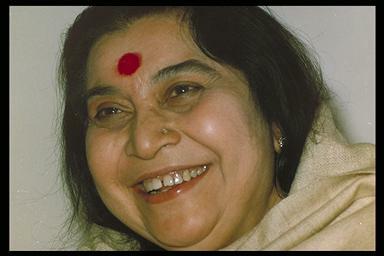 “Today Shri Mataji has blessed the Universe by enlightening the Nabhi. Shri Gruha Lakshmi cooked in Her kitchen, surrounded by the glowing happy team of cooks and other Sahaja Yogis. Dev, a young cook, was following Mother’s instructions with most crisp attention and skill in creating the Divine dishes: chicken curry, vegetables and daal. The sweet Yuvas, shy and radiant, came in the kitchen one by one with the needed ingredients – lady fingers, tomatoes, onions – offering them as if a puja was going on. Slowly the delicious fragrances started flowing out of the kitchen, changing like the notes of a raga, becoming richer as the dishes started simmering in the pots. At some point all the Yuvas came in the living room just in front of the opened door of the kitchen; the vibration strengthened as Mother continued to give directions: water, salt, turmeric, ghee… She examined the dishes and was pleased with the result. Pictures were taken and the camera recorded the historical moments. Mother was telling all the time telling sweet jokes, making everybody happy. I wished I understood the meaning of them but strangely enough, beyond this mind I felt happy, too. Very happy. And as our hearts were filled with Her Love, Mother invited all the Sahaja Yogis in Her living room to sing bhajans, giving us more joy. For a whole hour the angelic voices of our dear Yuva Shaktis entertained Shri Adi Shakti and the heavens. Mother was very pleased.